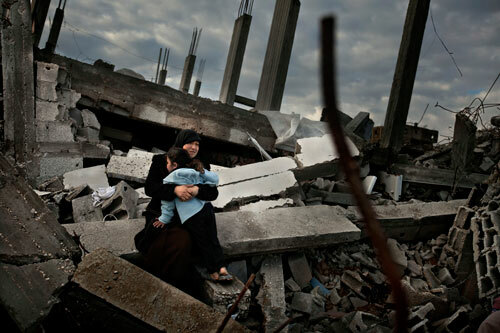 Eleven weeks after the israeli attack on Gaza the situation is still desperate for many people. All of the destruction and death creates more wounds that will take generations to heal. If ever. The cycle of violence continues. Bothina Kader comes here every day. She sits down were her old home used to stand and weeps. Now the only thing that the family have left is the mortgage. According to the oranization PCHR 1434 palestinians died during Israels attack on Gaza. 288 of them were children. The Israeli suffered 13 dead. Bothina Kader doesn't understand why this happened to her and her family. "Our house took 20 years to build, and the Israelis destroyed it in one hour. Why?"